Corruption Perceptions Index 2010 | Russian Legal Information Agency (RAPSI). 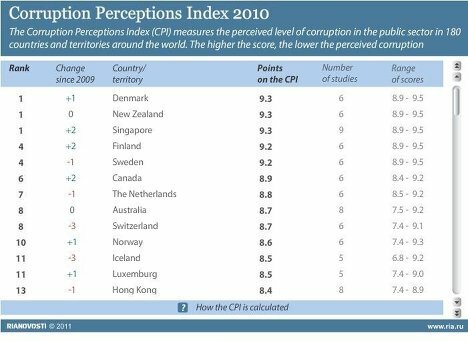 The Corruption Perceptions Index (CPI) measures the perceived level of corruption in the public sector in 180 countries and territories around the world. The higher the score, the lower the perceived corruption.